Discussion in 'Giveaways and Contests' started by tarekma7, Oct 26, 2018. Typically, when you try to access a website on the Internet, your Internet Service Provider receives the request and redirects you to your destination. As your Internet traffic passes through your ISP, they can see everything you do online and even can track your behavior and sometimes hand your browsing history over to advertisers, government agencies and other third parties. VPN application redirects your Internet traffic through a specially configured VPN server, hiding your IP address and encrypting all the data that is sent or received. The encrypted data is essentially gibberish to anyone who intercepts it, making it impossible to read. Setting up a router with a VPN connection can be useful if you have devices that cannot be connected by themselves, or if you have a lot of devices to connect. 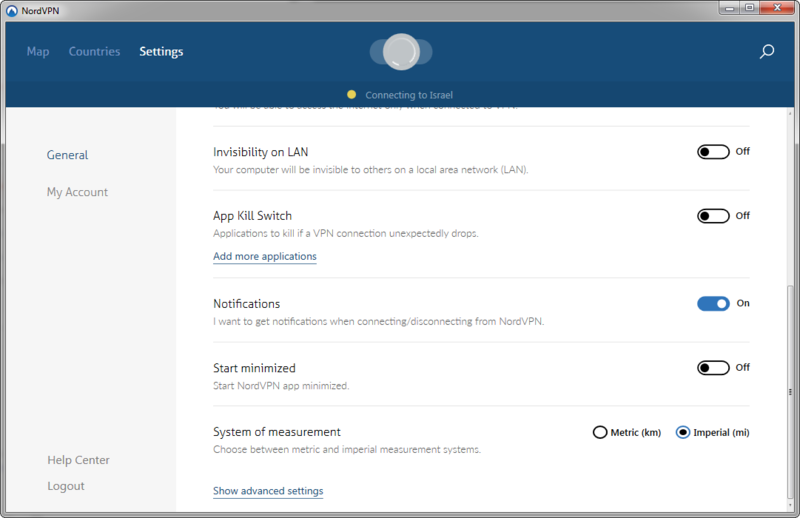 In order to setup VPN client connection on your router, it has to support at least one of these connection types: PPTP, L2TP or OpenVPN. Furthermore, it has to support it as a "Client" to allow you to connect it to NordVPN servers. 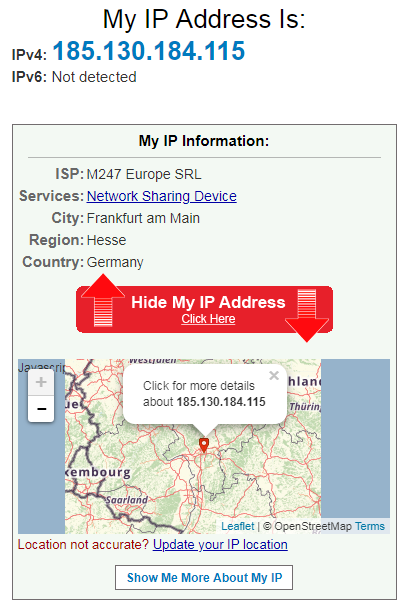 The NordVPN extension applies to the Chrome and Firefox browsers on your computer and Android* devices. Just one click to secure your online activity, secure your IP address and safely access your favorite websites with an encrypted proxy extension for Google Chrome and Mozilla Firefox. If you want to set up the OpenVPN protocol manually, you can easily do that by using the OpenVPN GUI open-source software. 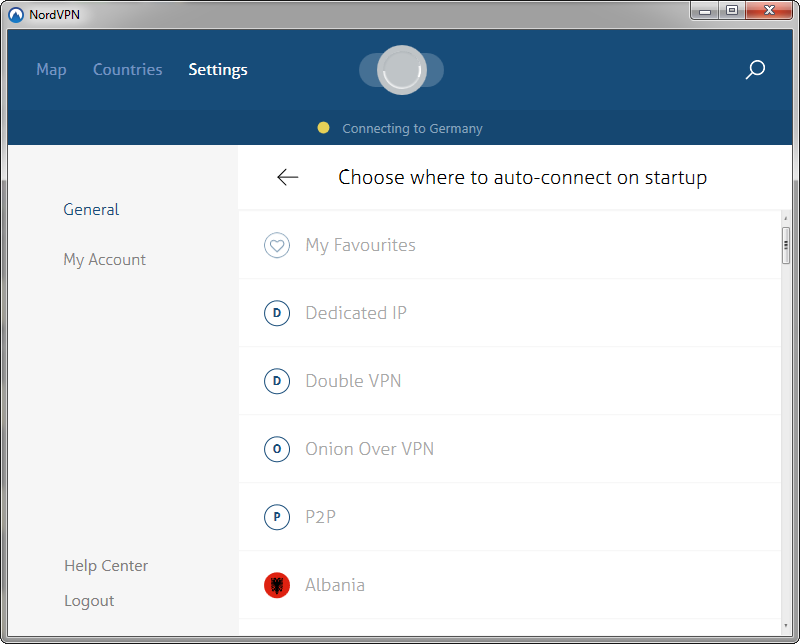 While using NordVPN in restricted countries, turn on Obfuscated servers to prevent your VPN traffic from being blocked. 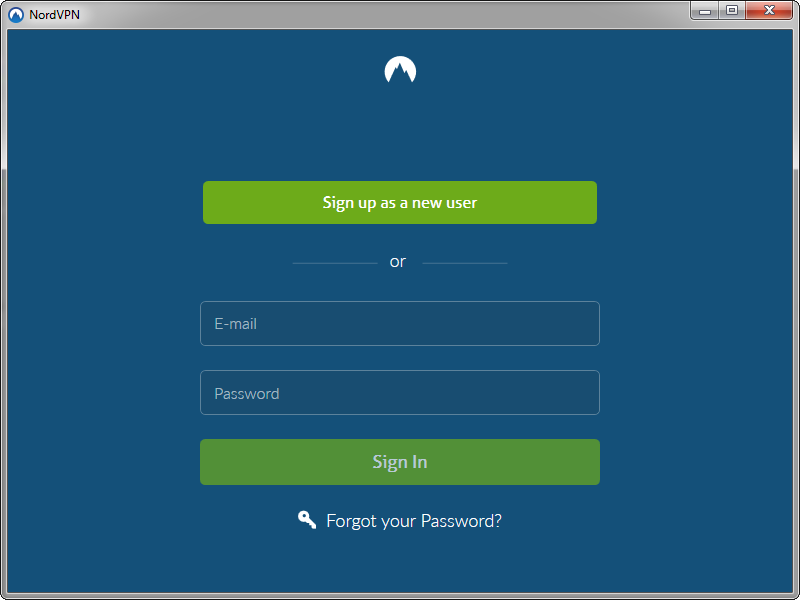 NordVPN offers you a hack-proof, encrypted tunnel for online traffic to flow. Nobody can see through the tunnel and get their hands on your Internet data. This is especially important each time you use public Wi-Fi, access personal and work accounts on the road, or want to keep your browsing history to yourself. Do you use Windows at work, macOS at home, and Linux for your special projects? No problem. 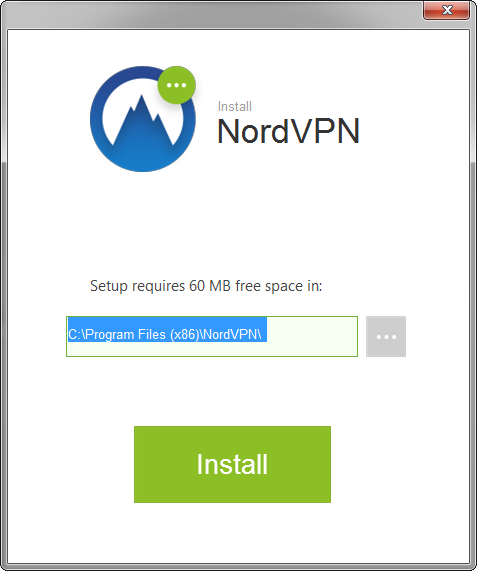 There’s a NordVPN application for each of these, plus apps for iOS, Android, and Android TV. In addition, there is encrypted proxy extensions for Chrome and Firefox. 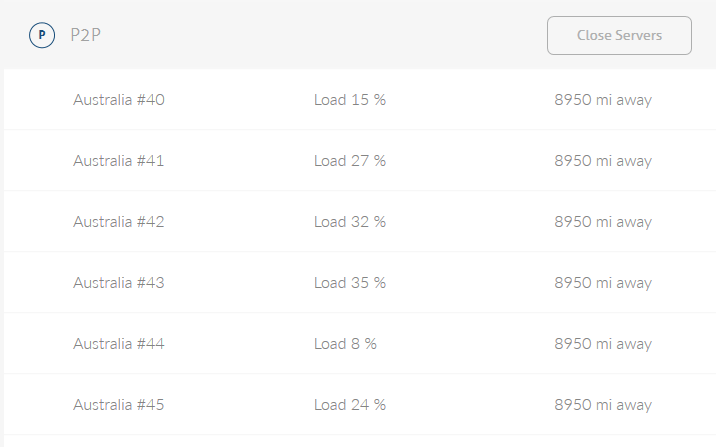 Best of all, with one NordVPN account, you can secure up to 6 devices at the same time. Buffering is the ultimate buzzkill, so streaming or downloading files with a slow Internet connection is not an option. 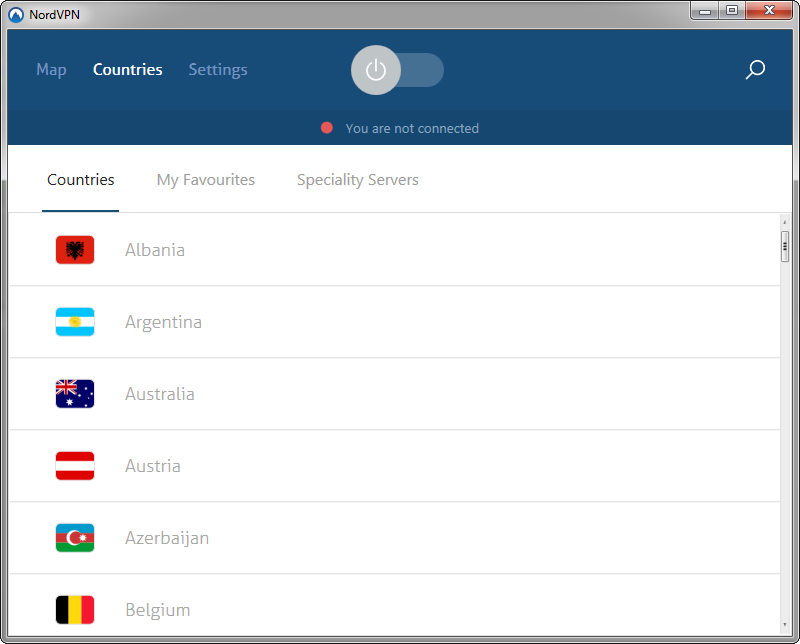 NordVPN offers more than 5100 servers in 62 countries and lets you enjoy the fastest VPN experience. The CyberSec feature automatically blocks suspicious websites so that no malware or other cyber threats can infect your device. It also secures your device from participating in DDoS attacks even if malware has already infected it. If you need an extra high level of online security and privacy, use Double VPN to encrypt your Internet traffic not once but twice. This feature works through chaining VPN servers, is a technology solution that allows hiding your online activity behind several servers via a VPN tunnel. It is especially relevant to journalists, political activists and bloggers working and living in countries with authoritarian governments along with high-level Internet censorship and surveillance. an extra layer of additional security is created. Your system may for some reason revert to the default DNS servers, resulting in your ISP being able to see what websites you are visiting. 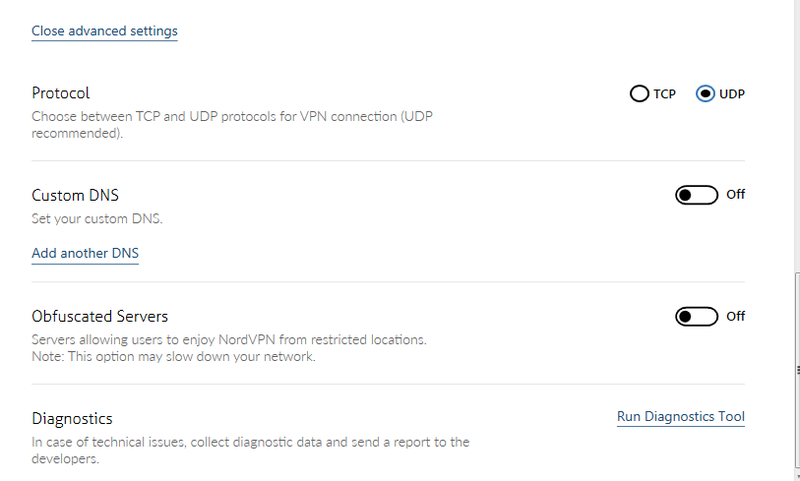 NordVPN has implemented a DNS leak protection technology to protect your online activity and privacy in case DNS servers send unencrypted queries outside a secure VPN tunnel. You can select either Standard Test or Extended Test. The unique Onion Over VPN solution, your Internet traffic will be routed through our VPN server first and then sent to the Onion Router. You will combine the anonymizing powers of the Onion network and the extensive benefits of a VPN service for full online privacy and security. Dive into the movies, TV shows, and sports you love. With NordVPN you can choose between more than 5100 ultra fast servers in 62 countries to enjoy secure streaming experience on any device, at any place and any time. Do all that in full privacy and security ensured by military-grade encryption. SmartPlay is now automatically integrated into all our servers, so you can enjoy a secure access to more than 400 streaming services with no extra effort. In fact, it is tailored to provide you the best video streaming experience based on your personal needs. You will easily access content on websites that otherwise would not be available to you due to Internet censorship. 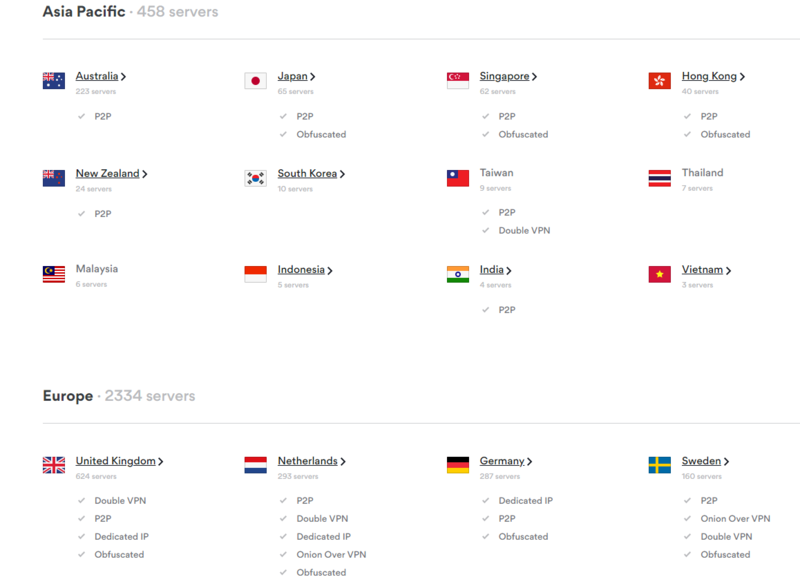 NordVPN provides hundreds of servers optimized for P2P activities in different locations all around the world. 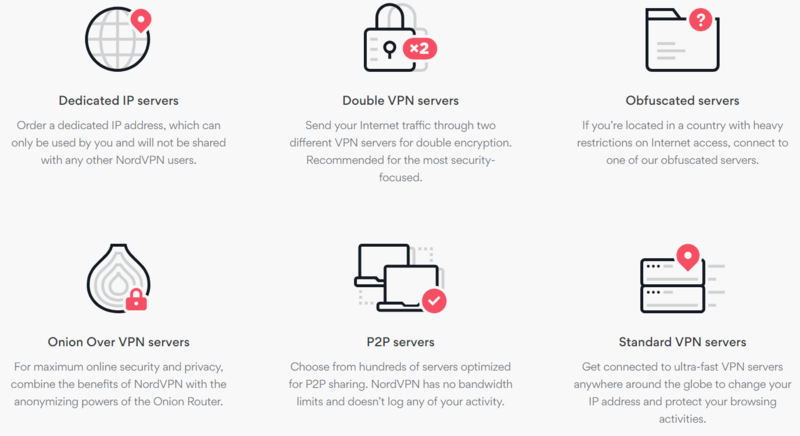 NordVPN not only allows P2P traffic but also offers military-grade encryption, fast download speed, no bandwidth limits and guarantees the protection of your private data. NordVPN offers top-notch security technology together with high-speed connection, so you can have the fastest VPN experience without compromising your online privacy and security. With a single NordVPN account, you can protect up to 6 devices at the same time without having to compromise the security and privacy of one device for another. 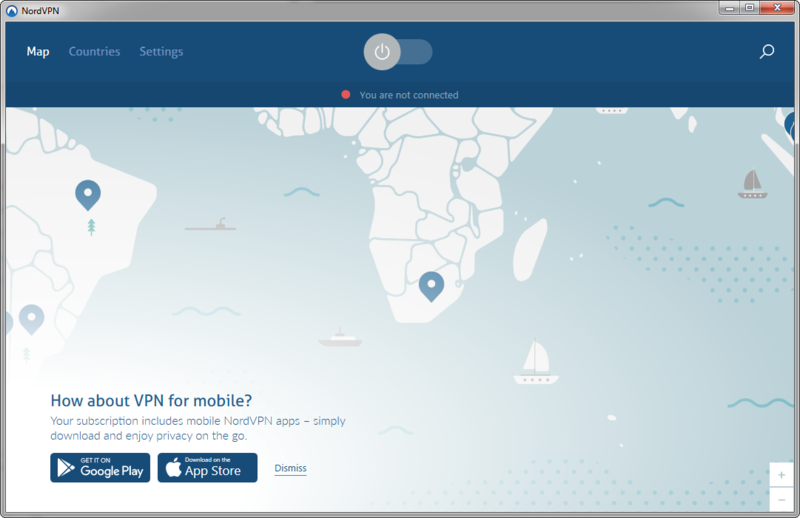 What is more, NordVPN offers intuitive and easy-to-use apps for Windows, macOS, Linux, Android, and iOS. 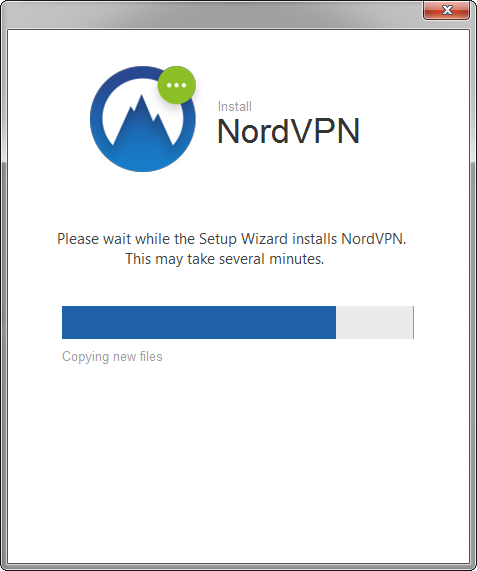 You can even set up NordVPN on your home router! Choose a dedicated IP address to access IP-restricted networks, enjoy a squeaky clean online reputation, and have full control with uninterrupted VPN experience. 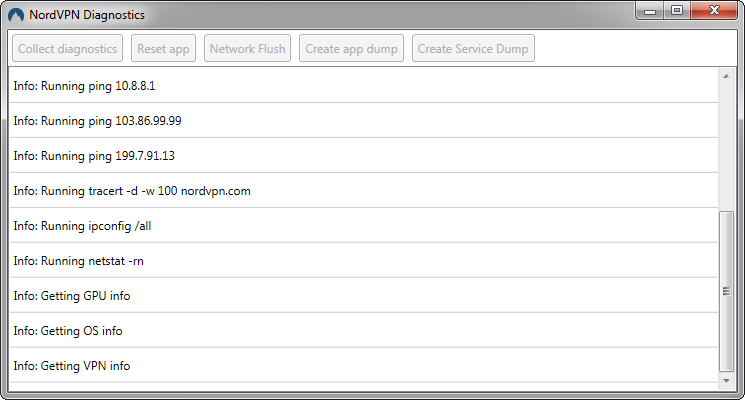 Our Windows app allows you to configure your device manually to use your preferred DNS servers, other than NordVPN’s. 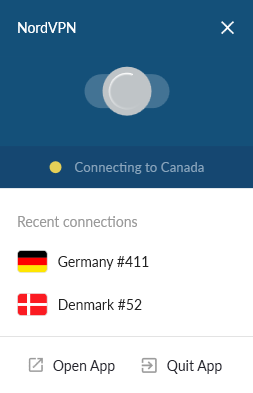 With NordVPN you can connect to any country or server from all around the world with just a few clicks. 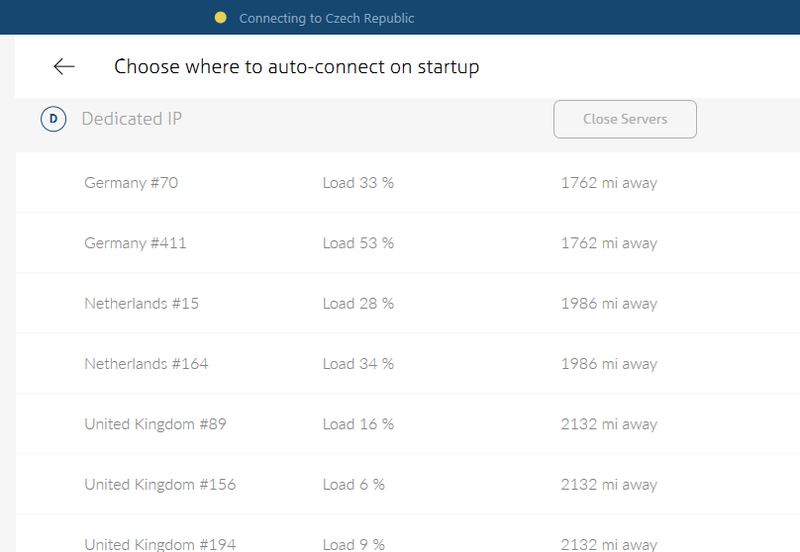 All you need to do is tap on the country you like, and our unique algorithm will automatically direct your online traffic to the server that is best suited for your needs. 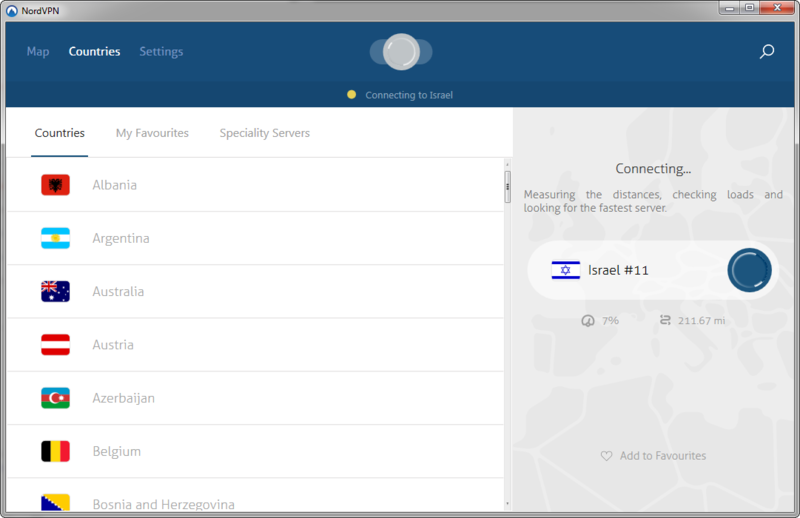 More advanced users can choose a particular server from the ‘Servers’ tab, based on the load time and distance to the selected server to assure the fastest VPN connection. NordVPN is a professional VPN solution that lets you enjoy security, provacy, speed while surfing the Internet. You will have good browsing experience and wonderful streaming. 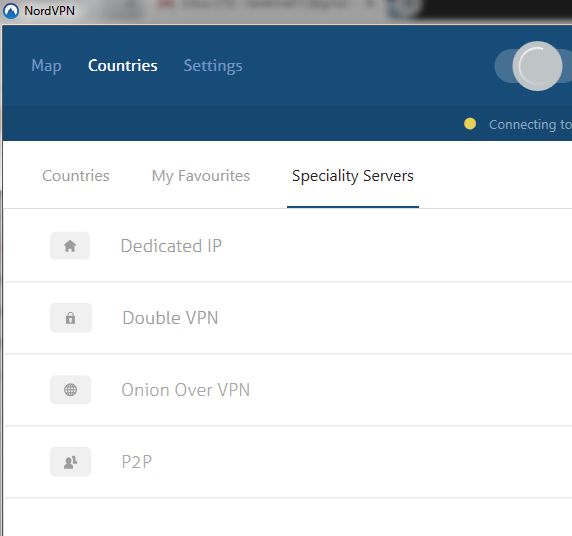 If you like P2P use, NordVPN is the best choice for you. Dedicated IP address offers you IP-restricted networks. No more censorship or bandwidth limits. 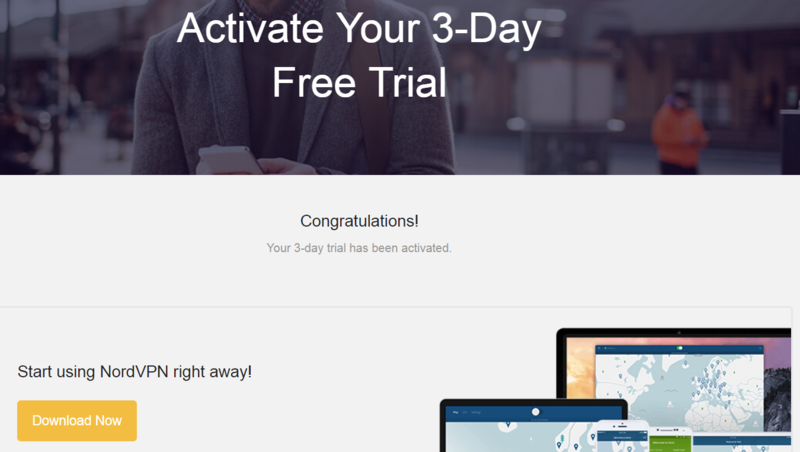 NordVPN supports all of your devices and using one account you can activate up to 6 devices at the same time. Speeds fall considerably with some of them and they may VARY a lot!!! Regarding the speed; it is good and improved but this depends on the server and the original speed you are using. Of course the speed is better in some other VPN solutions as expressVPN. I have never tried this vpn before and occasionally use a vpn to download Windows iso or office from torrents site and have marked the speed fluctuation during the download. The speed may vary depending on the distance of the servers and the speed of the ISP . Also, number of users on VPN's server, type of encryption, load of one's PC processor, RAM etc. One must prepare oneself: more security is inevitably tied to considerable drops in speed, occasional drop-out, even - when you continue to download but there is no encryption and if you leave it to DL over night, one might be having a headache in the morning etc. etc. So, careful with the torrent SW, use the white/blacklists (what/where [not] to download from) etc. NordVpn is referred to as one of the best, if there are problems with it, then what good vpn do you recommend? Great review, have been considering NordVPN for a while now... thanks, this was super informative.